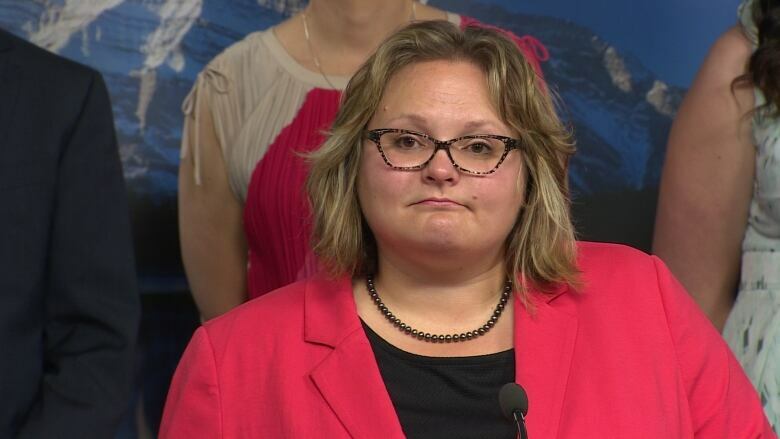 Comments about the weight of Health Minister Sarah Hoffman show sexism is still an issue for women in Alberta politics, a gender studies lecturer says. Interim Progressive Conservative Leader Ric McIver said Monday he will investigate remarks made on Facebook by Jordan Lien, the party's vice-president in charge of southern Alberta. Alberta Health Minister Sarah Hoffman came under attack after announcing a ban on menthol tobacco Sunday. (Travis McEwan/CBC)Lien called Hoffman "our morbidly obese health minister" while questioning the NDP government's decision to ban the sale of menthol tobacco. Cristina Stasia, a gender studies instructor at the University of Alberta who ran for the Alberta Party in the last election, called Lien's insult "disgusting." Stasia said past male health ministers who weren't in the best physical shape were never criticized about their weight. "Usually when men are insulted, if it's a gender insult, we target their masculinity, less so than their appearance," Stasia said. "But targeting women's appearance is popular because that's what we think will hurt or undermine them the most, because that's what we're taught to value best about women." Lien's comment prompted PC party member Warren Mitchell to say he was ripping up his membership card in disgust. "I'm done with this sh--ty party," he said on Twitter. Lien apologized Monday afternoon after the comments came to light. However, Stasia isn't impressed with Lien's apology. "I think that perhaps if he replaced "dumb" with sexist and irrelevant it would be a better step towards an apology because this was a gender insult," she said. "It was targeted at her in that way." A spokesman for Hoffman declined to comment on the remarks. Hoffman has also been the target of similar attacks by political commentator Ezra Levant and others using anonymous accounts on Twitter.